High-End Stores Use Facial Recognition Tools To Spot VIPs : All Tech Considered Some retailers have experimented with using signals from customers' smartphones to track them as they walk through a store. But a new facial recognition system is helping luxury shops give the VIP treatment as soon as big spenders walk in the door. Hey, isn't that ...? 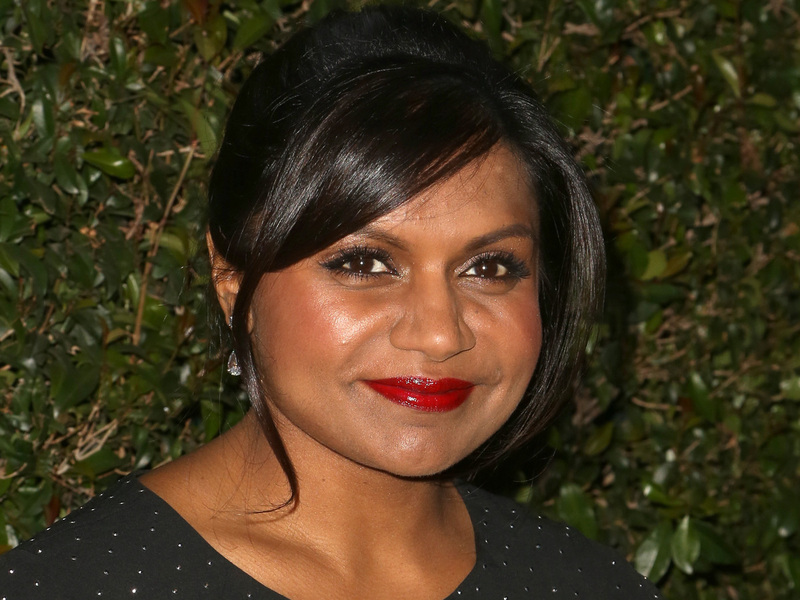 New facial recognition software is designed to help store employees recognize celebrities like Mindy Kaling — and other bold-faced names. "I hadn't watched The Office," Twisselman says. Kaling both wrote and appeared in the NBC hit. This lack of recognition is precisely what the VIP-identification technology designed by NEC IT Solutions is supposed to prevent. The U.K.-based company already supplies similar software to security services to help identify terrorists and criminals. The ID technology works by analyzing footage of people's faces as they walk through a door, taking measurements to create a numerical code known as a "face template," and checking it against a database. In the retail setting, the database of customers' faces is comprised of celebrities and valued customers, according to London's Sunday Times. If a face is a match, the program sends an alert to staff via computer, iPad or smartphone, providing details like dress size, favorite buys or shopping history. The software works even when people are wearing sunglasses, hats and scarves. Recent tests have found that facial hair, aging, or changes in weight or hair color do not affect the accuracy of the system. The technology is being tested in a dozen undisclosed top stores and hotels in the U.S., the U.K., and the Far East. NEC hasn't responded to NPR's requests for an interview, so it hasn't addressed why the stores that are testing the software are staying quiet about it. Manolo Almagro, senior vice president of digital for retail agency TPN Inc., says the technology isn't new, it is just a more sophisticated version of Google Images, which allows users to find photos that are similar to other images. But, he says, facial recognition verges on dangerous territory — Google had to remove facial recognition software from Google Glass over privacy concerns. When Nordstrom disclosed that customers were being tracked through Wi-Fi signals on their smartphones, the retail chain faced serious backlash and had to stop. Brick-and-mortar stores are juggling privacy concerns with wanting to increase their revenue through analytics-based marketing. Chris de Silva, vice president of IT Solutions at NEC, told the Sunday Times that the company had addressed privacy concerns and found that most high-profile customers are "quite happy to have their information available because they want a quicker service, a better-tailored service or a more personally tailored service." But retail consultant Almagro says the service is gimmicky — and not very cost-effective. "There are so many easier ways to use things like a mobile phone, which everyone already has, in a retail location and do the same thing and actually get more information," he says. Stores like Family Dollar, Benetton and Warby Parker are using data from customers' smartphones to analyze store layouts and offer customized coupons. Retailers argue that they are doing no more tracking than what's routinely done online. "The level of convenience may outweigh the privacy concerns," Almagro says. "But I think there is going to have to be some legislation that has to catch up to it." He says that ideally, tracking technology would have to be something customers opt in to. He says he's less concerned about stores keeping his information than who gets that information after the retailers do. Back at the jewelry boutique, store manager Twisselman says she could never see it happening at her store, since there is nothing like old-fashioned customer service — for everyone. "I like to think that we treat all our customers like VIPs," Twisselman says.